Valentine's Day is traditionally a day to take your sweetheart out to a nice restaurant. When looking for something special for Valentine's Day this year, look for the convenience of no waiting and knowing you and your sweetheart will have a table waiting for you. 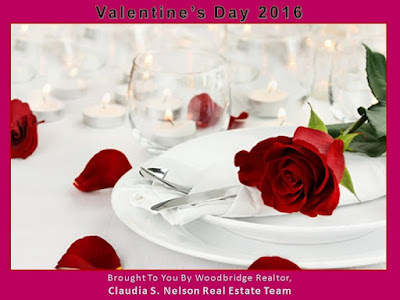 Claudia S. Nelson, your Woodbridge VA expert has found a way to take the stress out of finding the best Valentine's Day Restaurants in Woodbridge VA with the help of OpenTable.com. OpenTable.com will help you find some of the Best Valentine's Day Restaurants in Woodbridge VA and nearby in Prince William County Virginia. The best part is OpenTable.com also allows us to make reservations online! Make your reservations now, Valentine's Day is on a Sunday. Valentine's Day is traditionally a day to take your sweetheart out to a nice restaurant. When looking for something special for Valentine's Day this year, look for the convenience of no waiting and knowing you and your sweetheart have a table waiting for you. For more tips from your Woodbridge, Virginia Real Estate Expert check out some of our other articles. 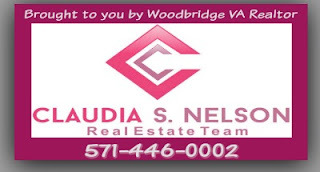 Claudia S. Nelson Real Estate Team, we know Woodbridge and we know the Woodbridge Real Estate market.